This post about Colorado’s Front Range contains some affiliate links and advertising. When you click on one of these links and make a purchase or book a hotel, I may earn a small commission that helps sustain this blog. You can read my full disclosure here. Thank you for your continued support! The “Front Range” is a term I was introduced to during my September 2014 road trip through Colorado. It just so happens that most of the destinations I chose to visit — Denver, Colorado Springs, Boulder, and Fort Collins — are located in that geographic area at the foot of the Rocky Mountains’ first range. In this post I’ll briefly share why you should visit each of these Front Range cities and give you a few ideas of things to do and places to eat and stay. Why Visit Colorado’s Front Range? First of all, if you are flying into Colorado from out of state or outside the United States, it’s very likely that flying into Denver is your most cost-effective option. Denver International Airport is about a 30-minute drive to downtown Denver, about 45 minutes to downtown Boulder, and about an hour and 15 minutes to Fort Collins or Colorado Springs. Secondly, you should give your body time to adjust to the elevation by staying on the Front Range for at least a day before heading to a mountain destination. Denver is known as the Mile-High City, but the mountain towns could have elevations that are 8,000-feet or higher. Planning to visit a mountain’s summit? 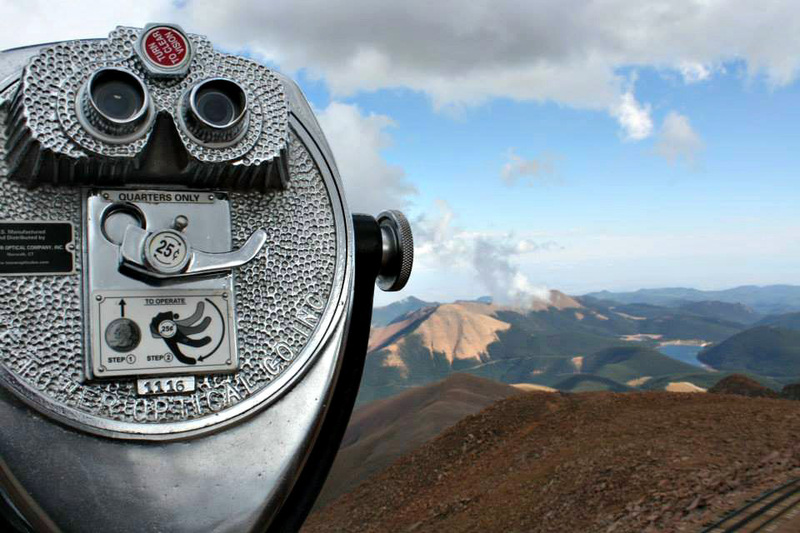 Pikes Peak is only the 31st tallest mountain in Colorado, and it’s 14,110 feet tall! Some changes you may notice are your ears popping, headaches if you are not hydrated enough, and a change or loss in appetite. I’m a foodie and I hardly had an appetite in Colorado. Third, the weather is mild and can be quick to change — my Uber driver in Denver joked that if you don’t like the weather, just wait 10 minutes. The Front Range gets snow, but it often melts away within hours or days. A friend of mine, who relocated to Denver from Michigan, said locals told him to keep his golf clubs in his car year-round. On the Front Range, there just may be a warm February day perfect to hit the links! When I visited during mid-September, the temperatures I experienced on the Front Range were daytime highs into the 90s and cool evenings that sometimes called for a light jacket or cardigan. Though being a Michigander, I was still OK in my short sleeves. The biggest city in Colorado and the state capital, Denver is the cultural hub of the Rocky Mountain State. The Mile High City is full of activity — professional sports, art galleries and museums, public art and gardens, bike shares and bike lanes and paths for cycling, shopping, nightlife, and breweries galore. Denver is one of the largest producers of craft beer in the United States and hosts a multitude of beer-drinking festivals and events. Check out breweries such as Wynkoop, Great Divide, and Denver Beer Company, or order a local brew on tap at one of the rooftop bars in the ballpark neighborhood while taking in the Denver skyline. For arts and culture, head to the Golden Triangle Museum District. The Denver Art Museum houses more than 68,000 pieces — including artwork by Georgia O’Keeffe, Pablo Picasso, and Roy Lichtenstein — and a revamped Native American gallery representing more than 100 tribes. Other nearby attractions include the Clyfford Still Museum, free tours of the Colorado State Capitol, Civic Center Park, and the U.S. Mint. If I could stay anywhere in Denver, I’d probably opt for the ART, a hotel boldly decorated with vibrant art, or The Crawford Hotel in the old Union Station railroad terminal. Already know when you’ll be visiting Denver? Go ahead and check for hotel rooms right now! Colorado’s sprawling and second largest city is home to the U.S. Air Force Academy and the U.S. Olympic Training Center. It’s an ideal destination for adventurous explorers, craft beer lovers, and active families. 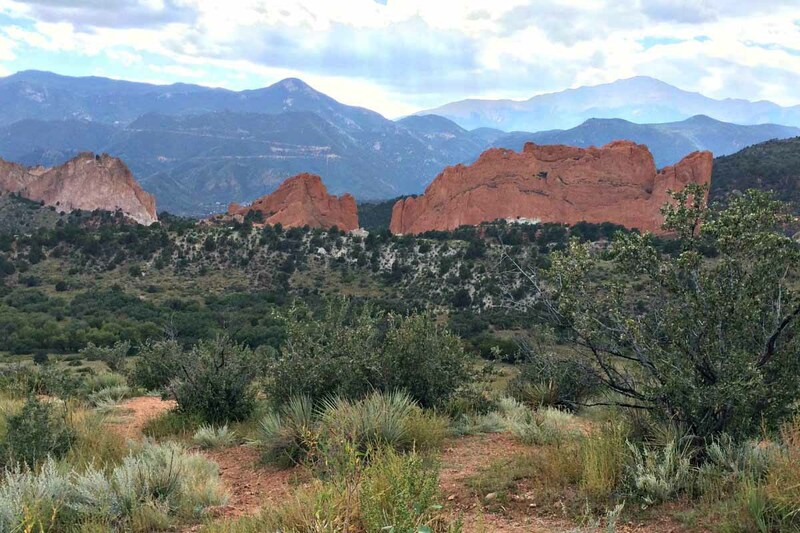 A must-visit destination is Garden of the Gods, which has 15 miles of trails around red sandstone rock formations. It’s ranked as the No. 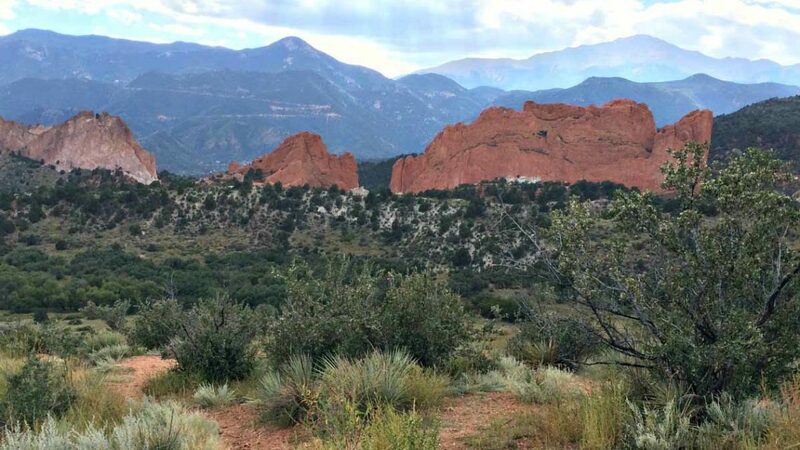 1 thing to do in Colorado Springs on TripAdvisor. In the park, you can rock climb, hike, bike, horseback ride or just take a scenic drive. Another must-visit attraction is Pikes Peak, America’s Mountain, which inspired the poem-turned-patriotic-anthem “America the Beautiful.” I recommend taking the cog rail up to the summit, but you can also drive — don’t miss any of those 156 turns — or hike to the 14,110-foot peak. You can even take the train up to the summit, and then bike back down on a guided tour! Other adventurous and family-fun activities include ziplining, white-water rafting, exploring caves, and spending a day in Manitou Springs’ historic downtown — the Miramont Castle Museum is said to be haunted! 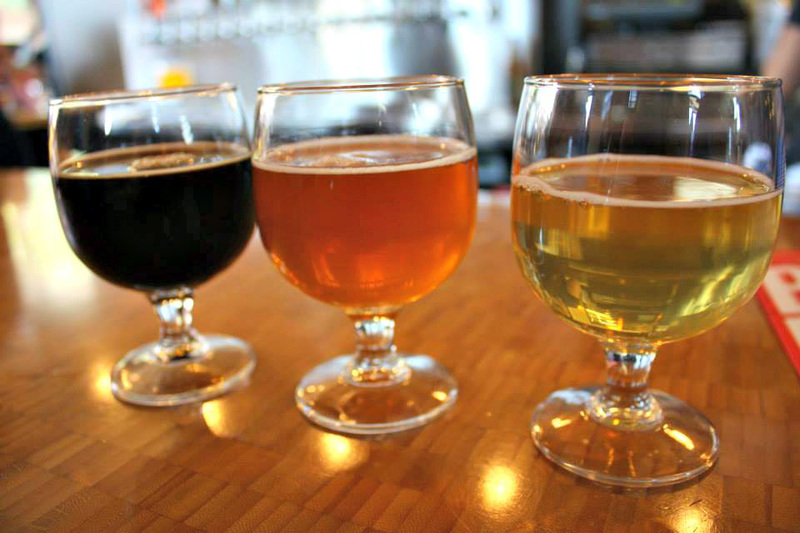 Like Denver, Colorado Springs is a craft-beer drinkers’ haven! Check out Bristol Brewing at the Ivywild School, an elementary school revamped as a community marketplace. Also drop by the Principal’s Office. Trust me, this is the kind of detention that you want! In downtown Colorado Springs, check out the rotating taps at Brewer’s Republic, where there are always 20 craft beers on draft, or treat your taste buds to the craft beers and smoky flavor of the lager and Gouda soup at Phantom Canyon Brewing Company. The Broadmoor is a five-star resort and highly touted. I stayed at The Mining Exchange, a Wyndham Grand Hotel, in downtown Colorado Springs. I loved the mix of luxury and art juxtaposed against exposed brick walls and a Rocky Mountain view out the windows. Home to the University of Colorado Boulder, Celestial Seasonings (free tours! ), the Flatirons, thriving art and culinary scenes, an authentic and ornate tea house, miles of bike trails, and an outdoor promenade bustling with shoppers, diners and street performers, Boulder is consistently ranked one of the happiest cities in America. Downtown Boulder, anchored by the pedestrian-friendly Pearl Street Mall, is full of shops, public art, and restaurants. In fact, Food & Wine magazine named Pearl Street one of the “10 Best Foodie Streets In America.” I can attest to the Pearl Street dining — the beet burger I had at Next Door was delicious. For a historic setting and unique experience, stay at the Hotel Boulderado, established in 1909 with rooms outfitted in Victorian decor. 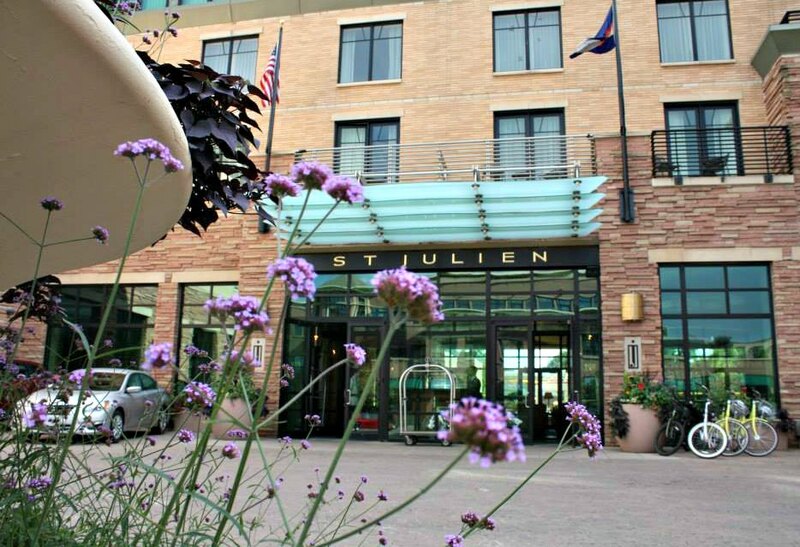 For a luxurious stay in a modern hotel that opened in 2005, book a room at the St. Julien Hotel and Spa. 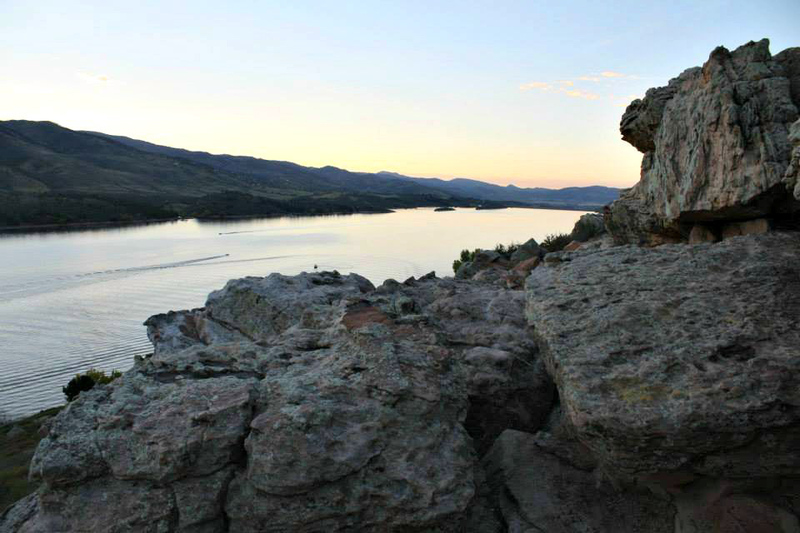 Fort Collins is a college town, beer capital, and perfect destination for outdoor adventurers. Home of Colorado State University, Fort Collins sits at the edge of the prairie along the Cache la Poudre River at the base of the Rockies. For active travelers, golf the two public 18-hole and one nine-hole courses that are open year-round, snowshoe or cross-country ski in nearby Red Feather Lakes or Cameron Pass, cycle 200 miles of wide bike lanes, go mountain biking on trails just minutes from downtown, boat the picturesque Horsetooth Reservoir, camp, fish, white-water raft, kayak, rock climb, or go hot-air ballooning. For my fellow beer drinkers, Anheuser-Busch gives free tours and you might get to see the Budweiser Clydesdales. Among other familiar names nationwide, New Belgium — the brewery behind Fat Tire — gives free tours with tastings along the way. In Fort Collins, you will mostly find chain hotels and vacation rentals. If you know your travel dates, you can check for hotel availability and rates here. For a budget-friendly option, try Airbnb. First time using Airbnb? I’ve found it easy to use, and I love the experience of living like a local when I’m traveling. When you sign up using my Airbnb invitation, you’ll get a $40 credit toward your first stay of $75 or more. Planning Your Trip To Colorado? If you are heading to Colorado, I hope this post helped you decide which Front Range city to visit. If you ask me, I’d say to visit them all. 😉 As you plan your Colorado trip, I have some additional resources for you. Wondering what to pack? Check out my five tips for what to wear in Colorado! Considering Boulder for your Front Range vacation? 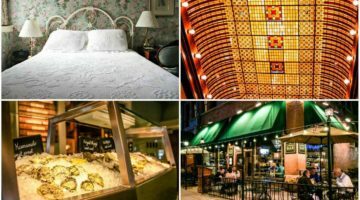 Take a closer look at the Hotel Boulderado and its three dining establishments! Beer drinkers, don’t miss my post on touring New Belgium in Fort Collins! Art lovers, see why I named the Denver Art Museum one of five U.S. art museums you shouldn’t miss. Need more Colorado trip ideas? You’ll find helpful articles and blog posts on my Colorado Pinterest board. After reading about Colorado’s Front Range, which destination(s) would you like to visit? Great collection of towns! The Front Range seems to often be overlooked – especially in the winter – but there is such great hiking and camping in the area. And I still can’t believe that something as amazing as Garden of the Gods is totally free! On the more luxurious side, the Broadmoor has been on my Bucket List for ages. Time to get that one crossed off! Ann is suitably jealous, and I am back in the doghouse for not having taken her to Colorado yet. The Broadmoor should make up for that, right? 😉 Thanks for sharing on #WeekendWanderlust, Erin! Colorado Springs is one of the best! Love the views and hopefully, we can visit there anytime soon! The Rockeis are my favorite place to drive through. I’ve now added Boulder to my must see list next time I’m in Colorado! I’d love to visit Fort Collins or Colorado Springs. It’s been too long since I’ve been to Colorado and I enjoy my time there. Colorado is quite a beautiful state and this is a great “ode” to her. I’ve been hiking and skiing, but have never had the time to explore the area. 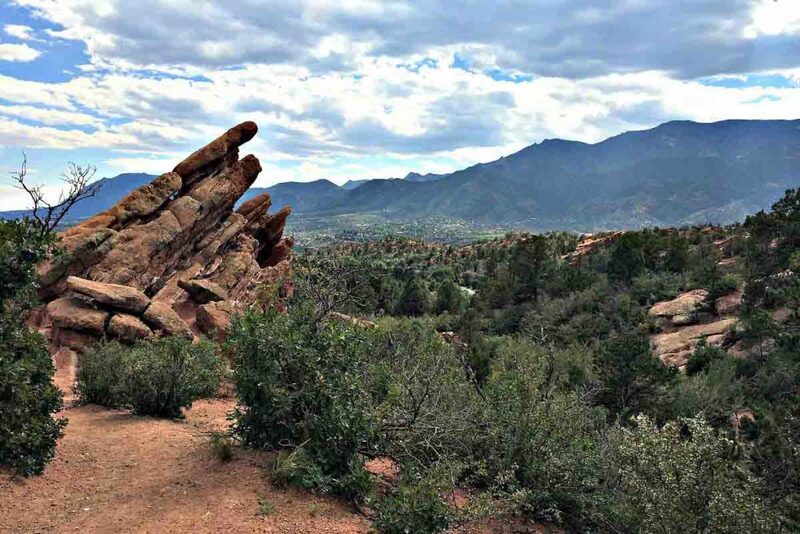 I’ve always been fascinated by Boulder and it’s wonderful to read your recap. Great article!! Great tips I’ve only been to Denver need to see the others as well! Yeah that is a trip I have to do, Colorado is on my bucket list. I have done the Canadian Rockies but not south of the border. Good to know ahead of time, sickness altitude can be an issue here. I went through that in the Andes. I went through that in the Andes, too. I was miserable for the entire first day in Puno. Luckily, I was feeling better when I went to the floating islands on Lake Titicaca the following day. I never felt that altitude sickness when I was in the Rockies, and I think starting in Denver and Colorado Springs before going to Breckenridge helped to prevent that. Colorado is such a beautiful state to visit. I’ve spent time in Denver and in the ski resort areas but I would love to nose around Colorado Springs. My husband and I were looking for our next U.S. trip! Anywhere in the Colorado Front Range would be lovely. We’re from Texas, and it’s SO flat. It’s always amazing to us to see beautiful hills, and mountains. We love Colorado! I’ve been twice, both time to the Loveland area which isn’t too far from Fort Collins! Such a pretty destination. LOVE this! 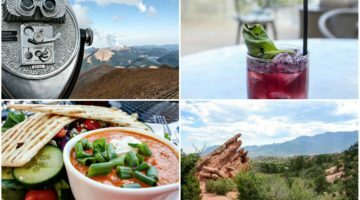 Colorado is at the highest end of our bucket list and we have a good list of ideas for Denver, but not many for the other 3. Fort Collins is one we definitely knew very little of. Thanks for all these tips! !